Serving our local community is tremendously important to us. Mental Health Awareness Week fell during May in 2018, and we decided to get involved by donating to Inverness charity Mikeysline. 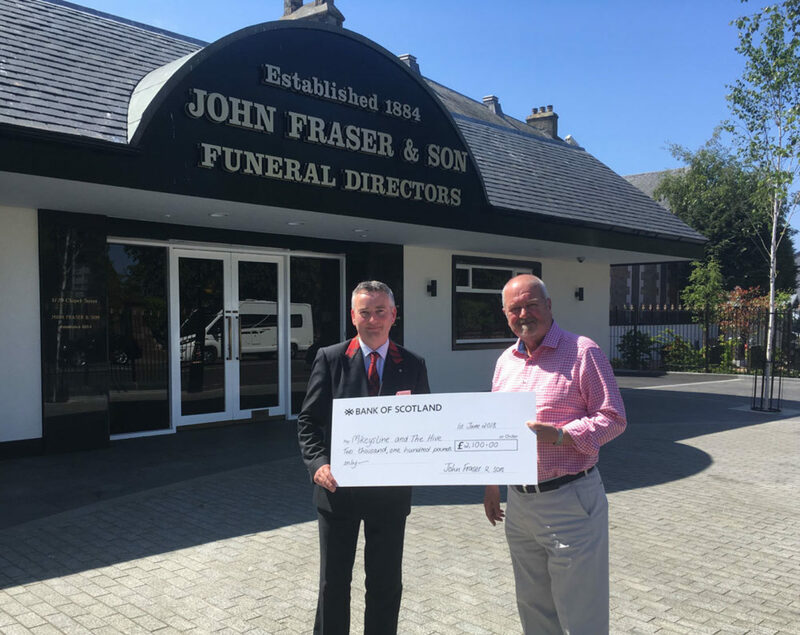 We set aside a sum for every funeral plan that was purchased and every funeral we conducted during that month, and were pleased to present Mikeysline founder Ron Williamson with a cheque for £2100. Mikeysline was founded in late 2015 after a number of suicides in the Highland area. It was born out of tragedy but offers hope to young people who struggle with depression or anxiety. The charity runs two services, a confidential text line for anyone who needs to reach out for help (the number is 07779 303 303) as well as the Hive in Inverness, a drop-in centre which offers non-judgemental peer support.